The Callaway Backyard Driving Range allows you to practice and fine-tune your short game in the convenience of your own back yard. 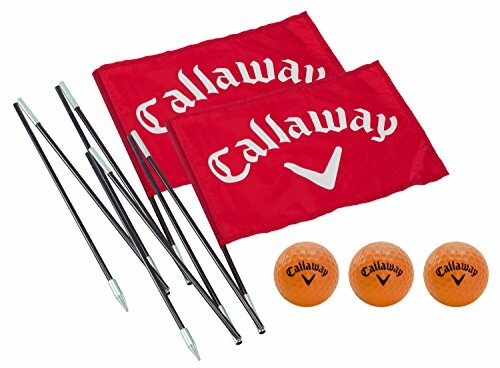 Includes two 6.5" flag poles with Callaway-logoed flags. Acquire multiple units to set up your own mini golf course. Combine with Callaway HX Practice Balls for safe usage. The HX balls are constructed of a durable foam and include patented Callaway HEX dimple pattern to simulate real ball flight at reduced distances. Perfect for all levels of golfers. Fun for the entire family.